To deliver on Ballantine’s global brand positioning ‘Stay True’, we developed a series of collaborations with inspirational creatives who embody the ‘Stay True’ spirit and created the world’s largest animated GIF. 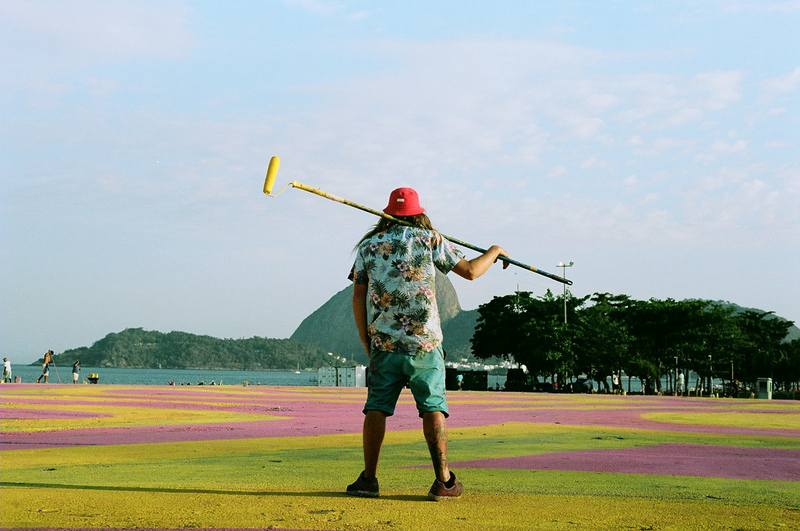 We travelled to Rio de Janeiro to create the fourth global #StayTrue Story for Ballantine’s. Working with globally-renowned ‘GIF-ITI’ artist INSA, we embarked upon a uniquely ambitious art project; to create the world’s largest animated GIF. 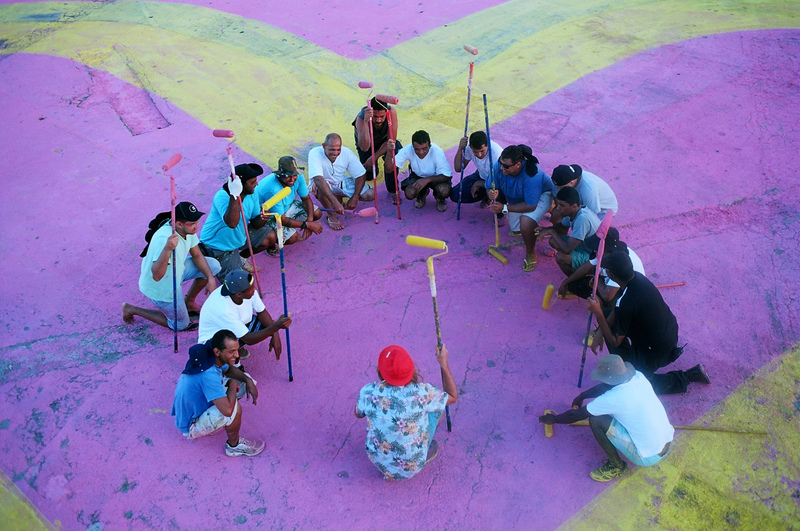 The giant animated artwork – the most ambitious of its kind ever attempted – was painted on the ground in Rio in four stages, over four days, and measured a total of 57,515m2. Inspired by graffiti artist INSA’s iconic ‘Looking For Love…’ heart design, the huge paintings were captured via a satellite orbiting 431 miles above earth and were transformed – by INSA – into a moving piece of animation. Documented in a short film, ‘Ballantine’s Presents INSA’s Space Gif-iti’ was premiered through a global exclusive with Mashable and supported by a comprehensive PR push across key global media titles, leveraging talent and brand social channels.